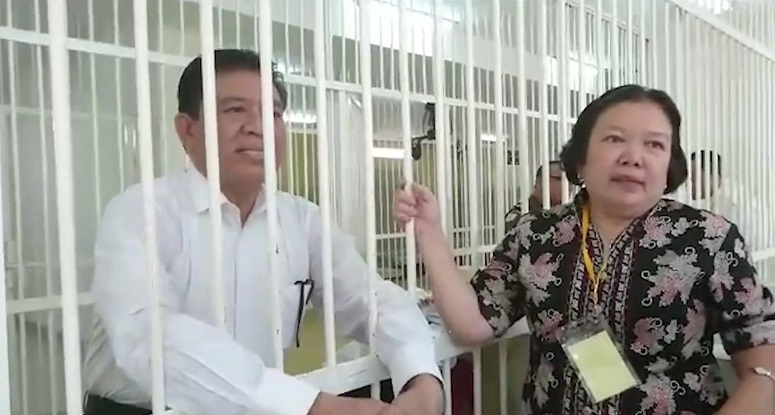 A Protestant pastor has been sentenced to four years in prison for religious defamation after discussing Christianity with a Muslim taxi driver in Indonesia, the Jakarta Post reports. The Tangerang District Court in Banten also ordered that Rev. Abraham Ben Moses, 52, pay a fine of 50 million Rupiah (US$3,565) or spend one additional month in prison. The presiding judge, Muhammad Damis, said Rev. Moses had “intentionally spread information intended to incite hatred against an individual, group and society based on religion”. Rev. Moses, a convert from Islam, was arrested in December after he uploaded to his Facebook account a recording in which he quoted a Quranic verse about marriage to a taxi driver known only as Supri. During their conversation, the pastor also invited the driver to convert to Christianity, the Voice of the Martyrs reported. After the video went live, one of Indonesia’s largest Islamic organisations, Muhammadiyah, filed a blasphemy complaint against Rev. Moses, according to the Christian Post. The pastor was arrested from his house in Buaran Indah in December and his phone was confiscated as evidence. Although the prosecutors had demanded a longer sentence of five years in prison, Muhammadiyah welcomed the judge’s decision. “This decision should be appreciated and should serve as a valuable lesson for all parties,” an official from the organisation was quoted as saying. Rev. Moses’s legal team are to appeal against the sentence, which they said was “too heavy for the defendant”.